Hauling traps, mending nets, digging clams, raking worms, wrinkling, dip netting, seining… you can see all these activities in Downeast, Maine, where men and women make their living from the sea. Folks in Downeast Maine rely on the sea, and are fierce protectors of its bounty. Not only do they fish here, but people also seed clams to restore the flats, grow salmon for release in native brooks, and truck alewives around dams to help them get them to their spawning habitat. Downeast, you can witness resource harvest and resource conservation hand in hand, and that’s pretty unique! As a visitor, it can be tricky to know where to go to experience the region’s fisheries heritage. 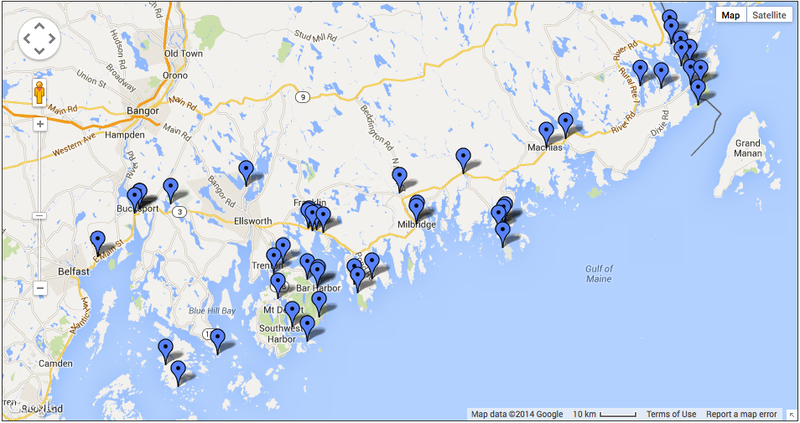 The Downeast Fisheries Trail is the answer! Pick up a map or view it online at www.DowneastFisheriesTrail.org and learn about 45 sites from Penobscot Bay in the middle of the state, all the way east to the Canadian border (and beyond!). 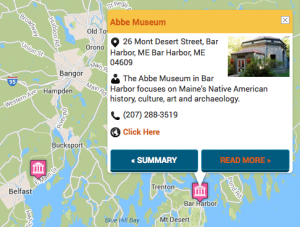 From working harbors to historical societies, waterfront parks to fish tanks, fish hatcheries to clam flats, view points with interpretive signage to community fisheries education centers, the Downeast Fisheries Trail has something for all ages. 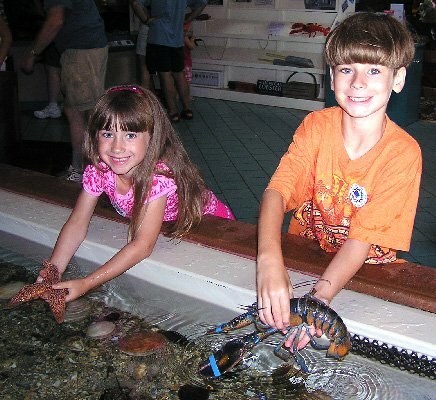 The Downeast Fisheries Trail celebrates the region’s fisheries heritage past and present. Depending on which sites you choose to visit, you can watch or get wet, observe or immerse, and even taste, smell or touch the dozens of species harvested along our coast. What happened to the famous sardine industry? Why is Maine’s lobster industry booming? What’s all the fuss about these tiny glass eels? What is growing in those fish pens out in the bay? What are wrinkles and how do they taste? Stories here are intertwined with the sea, as is our language. Downeast Maine, for example, is so named because the prevailing winds blow down the coast and towards the east, an important phenomenon back when coastal trade relied on wind rather than diesel. Use the website www.DowneastFisheriesTrail.org to discover these stories and so many more, and use the Downeast Fisheries Trail map (available on the website) to plan your fisheries heritage journey!